As a ServiceNow Gold Services and Gold Sales partner, Acorio is there for your team every step of the way, guiding you with expertise, best practices, training and more. With hundreds of successful implementations, Acorio offers the right recipe of ServiceNow expertise to drive true results and long-term ROI. Your ServiceNow success requires a partner who understands more than just technology (although we’re pretty great at that, too!). We can help you answer some of the common questions we hear from clients who are new to the enterprise platform. What can ServiceNow do for my team or organization? How do I acquire ServiceNow? ServiceNow can do so much, it feels overwhelming, where do I start? What is the best way to ensure a successful rollout? How do I create a more modern, usable customer (or employee) experience? Our ServiceNow initiatives seem to have stalled, how do we get back on track? Is our instance ready to upgrade? We have an extremely customized implementation, how do we get back closer to out-of-the-box best practices? You’re Ready for ServiceNow… But, do You Still Need to Convince Your Team and Gain Executive Support? You’re here for one reason: To win your business case for a ServiceNow implementation (or even an expansion of a preexisting platform – with HRSD, CSM, SecOps, etc.). We’re here to help and set you up for success. 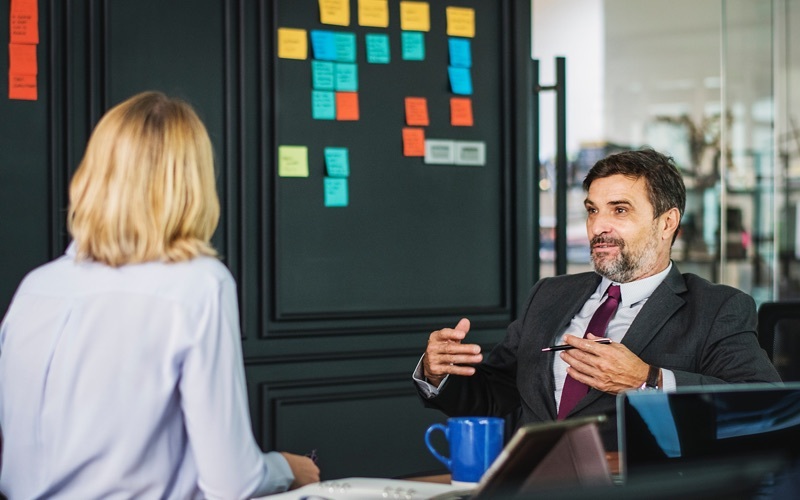 Building a business case shouldn’t overwhelm you, it’s simply the tool to ensure you have successfully executed a thorough thought process so that any effort you and your organization will spend will get results. Begin today with our “Get Started” Pitch Deck PPT template. Satisfy Demands. 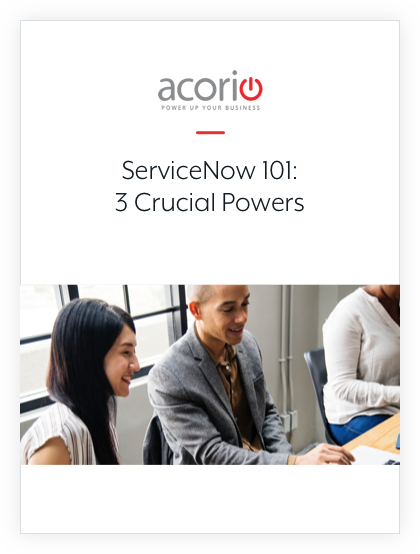 ServiceNow can be leveraged as a means for meeting speed and visibility expectations among your customers, employees, and partners. See Progress. Leveraging data-gathering and reporting functionalities can reveal and visualize a wide range of previously obscured business behaviors. Solve Problems. As a powerful resource for analyzing and interpreting events to expose root causes, ServiceNow provides insight on opportunities for proactive change.